If you want to read a hilarious post from Chuck Wendig on this, you can find it here. So tell me – how do you find your audience? If you found these tips handy, why not subscribe to get lots more straight to your mailbox. Sign up here. Great info and insight! Thanks for sharing this…Much appreciated! Having just failed to be picked up by Amazon on KindleScout, and just read this post, I might just go and play with the traffic. Ever get the feeling that all you’re doing, is circling the drain? What bit of the post was down heartening? ? It’s not a complete waste of time – it builds a platform, it develops your writing and you build a community – it’s just not going to sell u loads of books because your readers aren’t shopping for books on blogs. Back to the drawing board then, I need to learn more about marketing. . . The trick, presumably, is knowing which ones! This was again very insightful. I am amazed at your way of going into details…. very important details. Great post, Sacha! Don’t ever worry! I undertand that so well. I am also sorry that I cannot leave a comment all the time or sometimes even cannot afford the time to read everything. So, I really understand. There is still life happening too around us! If you listen to Kristen Lamb and Anne R. Allen, they both very definitely advocate that you SHOULD blog as a fiction author. It not only improves your writing, it also gives you a place to connect with potential readers. That said, they both reckon that only blogging about writing will only really appeal to other writers – who may, or may not, be interested in your actual fiction. I started doing the folklore posts for a laugh because I love the folklore Thursday hashtag but if my Analytics are anything to go by, they’re at least three times as popular as my writing posts, and people have outright said they prefer them. I’ve had people read a folklore post, then read a story I wrote inspired by said folklore, then they’ve subscribed to my list. Also, I tried one of the keyword tools Nick Stephenson recommended and it’s a total waste of time, so don’t bother with Kindle Samurai! Interesting on kindle samurai – glad I didn’t recommend it. I blog about genre stuff -my conspiracy/ weekly wonder posts and if my stats are anything to go by they are most definitely NOT my popular posts, my writing ones are. I’m in a bit of a quandary at the moment whether to drop them and concentrate on writing stuff or whether to move them to a fiction site (a fiction only author website) really not sure yet – personally I’m not sure I agree with Kirsten lamb et al. I can see their point but for me the logic of the others sits far more comfortably because it represents my reading/buying consumption habits as a reader BUT, like I said in the post, don’t stop blogging because I say so, I’m not professing to be right – just giving a round up/review of the books I read. I will continue to blog irrespective of the fact some of the big wigs say it doesn’t work and irrespective of the fact it’s never going to sell a truck load of books. At the end of the day readers go to Amazon etc to buy books. They don’t come to blogs so no matter who argues what, advertising and cracking Amazon algorithms will ALWAYS be more effective than trying to sell books through blogs. But that’s my personal opinion. I suppose really it depends who your audience is. If you’re blogging about a topic that you cover in your books then you might pick up some readers ‘on the side’ just through building that relationship with them. I DO read a lot of blogs, and I do buy books from their authors, so from my point of view it does work – though clearly it’s nowhere NEAR as effective as advertising and whatnot. It’s a nice unexpected bonus. Plus I blog because I actually enjoy it, and it supports my fledgling copywriting career. I’m a bit funny though, I don’t really like being advertised at (which is funny as I teach advertising). So I will ignore Facebook ads, and endless ‘buy my book!’ tweets almost as a matter of course. But then I get book recommendations either from other people (totally my favourite method), or I subscribe to mailing lists like BettyBookFreak and I grab books that sound interesting while they’re either free or 99c. So I guess curated advertising works better on me! Plus, those adverts go to people who’ve subscribed to those lists and are actually interested in the content, and so are more likely to buy. They’re a good way to advertise permafrees or good deals, which as you said in your post is a great way to hook readers. At the end of the day, whether you blog or not, I still firmly believe that getting more reviews is the best way to go – more reviews bumps you up the rankings on Amazon, and if you get over 25 they’ll start recommending you to people themselves. Big win! Soz for the delay but…. #life #manuscriptsToFinish! Yes I agree – blog do pick up SOME readers – not denying that, but like you say, not any where close to what advertising does (sadly). TOTALLY agree on the reviews though. 100%. Some interesting and useful points, Sacha. I’m in a monogomous relationship with the rain forest seller of books (well, it’s monogomous on my side!) and don’t intend to change any time soon. I have tried other outlets like Smashwords and didn’t sell. I think everyone has to decide what suits them best. I find books from all the places you mention and I have sometimes bought titles after seeing them on blogs – author interview type things where if my interest is piqued I’ll check out the book. I think KDP works for some people I completely agree and I also agree that we have to find what works for us individually. I too find books on blogs – like the Rosie’s etc who review them constantly, but that’s because I’m a writer. I wasn’t aware of blogs before I wrote and the point is, although it might trickle sales, it’s never going to pay the bills. Of course your blog will sell some copies, but if you want a salary so u can write full time it’s never going to be the most effective method. One of the things I’ve heard Joanna Penn say on other outlets is that they take time. I can’t remember if it’s kobo or iTunes but you need like 9 months of time to build a presence on there, anything less than that and u have no chance. Supposedly if u take a book off and put it back on you start from scratch too. *shrugs* I have no experience to base it on I can only convey what I’ve read and heard from the published authors I read. I don’t read YA but I’ll buy your book because I follow your blog! I can’t even remember how I found your blog (s). It’s a very strange world and publishing is a totally weird business. Aww thank you, that’s genuinely made my day. What’s Epic Reads? I feel like I’ve heard of it before, but then I have no idea what it is, lol. Also, I’m slowly working on my newsletter. I’m taking your advice about not putting my full address down. Epic reads is part of Harper Collins I think, it’s for YA genre readers and is like…. Ummmm a website full of YA stuff – news, articles, reviews, recommendations, latest releases that kind of stuff. Oh cool. I’ll have to check that out! Thanks. I agree – when I read those books I found myself going in circles, and driving myself potty over what I should and shouldn’t do. And really, I think something different works for every author. It’s just about choosing what works for us really. And I thought deciphering Google SEOs was tough jibberish. When I have a book ready to go on Amazon, I’ll remember this! haha, thank you – This made my day. It’s comments like this that yank me out of those horrible self doubt holes. <3 bloody love Wendig. You are hitting upon many important details in the overall practice of marketing. You also bring up a valid point that I think many writers who blog struggle with: should you blog? First of all, a writer’s blog is not synonymous with platform. This holds true for both fiction and non-fiction writers. A platform is both a billboard and a launching pad; it defines who you are as a writer and can be a place from where you initiate business (selling books or services). A writer’s platform is a combination of branding, credibility, community and audience. I totally agree with you — most likely it’s other writers who are reading my blog. But that’s what I intended. I wanted a community of writers. If I had built a blog strictly to build audience, I would have initiated different tactics. Community is about engagement; audience is about providing a want (what to read). This is why, in order to answer your question, “should you blog,” it is first important to answer “why do you blog.” If you blog to build audience but instead have created community, you need to change tactics; you do not necessarily need to stop blogging. I’ll use myself as an example. I’ve built a community of writers at Carrot Ranch by offering weekly prompts, discussions, encouragement and promotion of the participants’ writing. That creates active community among writers. If I wanted a community of specific writers, say western writers, I’d focus activities that appealed to or rewarded only western writers. I don’t because I want diversity. However, I do brand my style of writing enough for others to recognize that I’m interested in the western historical genre. Now, if I wanted to target an audience, I’d create a static author website with a blog that featured both history and snippets of my genre writing. I would not ask other writers to engage, nor would I respond to comments the way I do at Carrot Ranch. Audience is not community. Engagement is meaningful to community; topic is meaningful to audience. So how would I find that audience? I’d look at the blogs and websites of genre publishers, western historical societies, museums and re-enactment organizations. I’d seek out western historical book clubs and book reviewers. If I had books to sell, I’d ask to speak at historical society meetings or publish articles in western history magazines and direct this audience back to my blog where they can clearly see I write what they read. Do you see the difference in marketing tactics? I have a small following of audience, but they are not regular and they do not stay long because I do not yet have books. When I do, and I start to target tactics toward selling books what are they going to find? 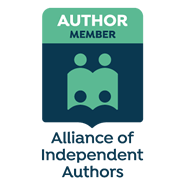 A robust and diverse community of writers among my own writing (credibility and branding). Is that a bad thing? No! Absolutely not. It’s like popping over to your favorite author’s house and peeking into a pool party she’s having with friends. Yay! Your favorite author has a life, is a real person, is approachable, likeable. My audience may have no interest in hanging out with my community, but it won’t distract my audience either. So yeah, I blog, will blog and will uphold my community because it fulfills me as I navigate the looooong haul goals of publishing historical and western fiction. Just like you — you have built an awesome community and one day, when you shift to audience tactics (which really you can’t do until you have something for them to purchase) you will have readers visit your site to buy a book, read a quirky post on alien life, and say, that Sacha Black is such a cool writer — look at all her peeps who hang with her! They won’t comment, they won’t read tips for writers, but they’ll feel the vibe of your branding that clearly fits the tone of your genre writing. And I think that’s better than having a static, impersonal website. But it’s my opinion, and there are as many marketing tactics out there as there are opinions! Just know what it is you are wanting to achieve and plan how you are to build your platform and follow the cycle of marketing. sorry for the delay, a long comment deserves a good reply, so I wanted to sit down when I had the time to reply properly. First up I agree – A writer’s platform isn’t synonymous but a lot of the time it is one of the largest components. I tend to see my platform as everything I do, including like you say, my brand. But I guess for a lot of writers, they only blog, or only have one social media account, so it ends up being almost solely their platform. I didn’t realise that my blog had a writer audience until I started learning about marketing – now I know better and know I am starting from zero when it comes to my fiction unfortunately. But at least I know that. I have plans to create a new website solely for my fiction and like you say, it will be more static, I will create ‘reader’ oriented stuff and focus on driving readers to my email subscriber list (which will be different to Sacha Black’s) because it will be focused on that audience. I do love our chats Charli. p.s. community is everything to me. I don’t think I would have completed any draft if it weren’t for the writers on here. I will ALWAYS blog, whether it sells books or not. Blogging helped my first book sell well. The historical fiction novel set in 19th century China based on a real story came out in December 2007 and sputtered along for two years. In 2008, that novel sold an average of 18 copies a month, and in 2009, an average of 28 a month. Then in late 2009, I took an all day workshop to learn how to blog properly, and doing what I learned, I started to write posts about China like a lunatic. That is if you call writing 1,000 posts about China in 9 months rabid writing. The results of serious blogging: sales in 2010 averaged 180 copies a month; in 2011 the average went up to 387 a month; 346 for 2012; 458 for 2013 (the year of the flame war when my work was attacked by a tribe of nameless trolls who have stayed around keeping an eye on my work to drop a bomb on it every-once-in-a-while. Trolls are like rubber glue. ), and 459 a month in 2014. Sales have dropped off since then to 65 a month in 2015. I think I’m going to have to bite the gold coin and start an e-mail list. I think blogs do sell books, but they don’t sell books in the way amazon can or advertising can. Also, unfortunately what works this year, won’t next. That’s just the way things are with technology. Everything changes. Constantly and as self pubbed authors we have to keep up. It’s exhausting even thinking about it. It is exhausting keeping up. You are so right. Phew! I can’t tell you how pleased I am about what you said about Blogging. Keep it fun, because that’s what it’s supposed to be all about. I’ve written about it many times and it always saddens me when good bloggers throw in the towel. Agree, your blog isn’t going to sell many books, so that’s why posts like these are very valuable. hehe, I will never stop blogging. Ever. Been here 4 years. Think that’s a mark of staying if ever I saw one! Darn good post, Sacha and I have bookmarked it for use later or should I start advertising Wisp now before it`s published. I never know what`s best to do. Yep, nervous. i absolutely enjoyed your site Sacha!